Pattaya, Thailand 17 January 2017 – Golfasian (Golfasian Co., Ltd.), Asia’s leading golf tour operator recently acquired Pattaya based Solar Golf (Firhill Co. Ltd). In an effort to strengthen its UK market share and to expand its operational excellence in Pattaya, Golfasian (www.golfasian.com) has recently acquired Solar Golf. From the sleepy fishing village and R&R center of American GI’s during Vietnam War in the 1970s to the largest concentration of golf courses in one destination in Asia today, Pattaya has been recognized as Asia’s largest golf and party destination, putting even renowned Las Vegas to shame. Thai home US LPGA since 2009, the prestigious ladies professional golf tour has recognized the destination as one of the best in the world. Pattaya hosts other events including Asia’s very own caddie championship, seeing 700 caddies competing. The renowned nightlife combined with its vast selection of global branded hotels & resorts, short distance from Bangkok, more than 20 golf courses with low season green fees as little as USD 10 per round, and excellent year-round golf weather, combine to make Pattaya a golfer’s heaven. Over 10 million annual visitors and growing, Pattaya is the fastest growing region for golfers and visitors! Solar Golf have been in the Thailand golf business for over 10 years. Based in Pattaya on the Eastern Seaboard, the company has run multiple tournaments and managed hundreds of group tours for mainly UK golfers. “A vital ingredient of our success is to have a strong operational presence in our key destinations. With over 10 years of presence in Pattaya and a strong UK market share, Solar Golf was the perfect fit for us”, explained Mark Siegel, Managing Director of Golfasian. Solar Golf will continue to be overseen by Stuart Mackie who took over leadership 3 years ago from his father Callum Mackie who founded Solar Golf 11 years ago. 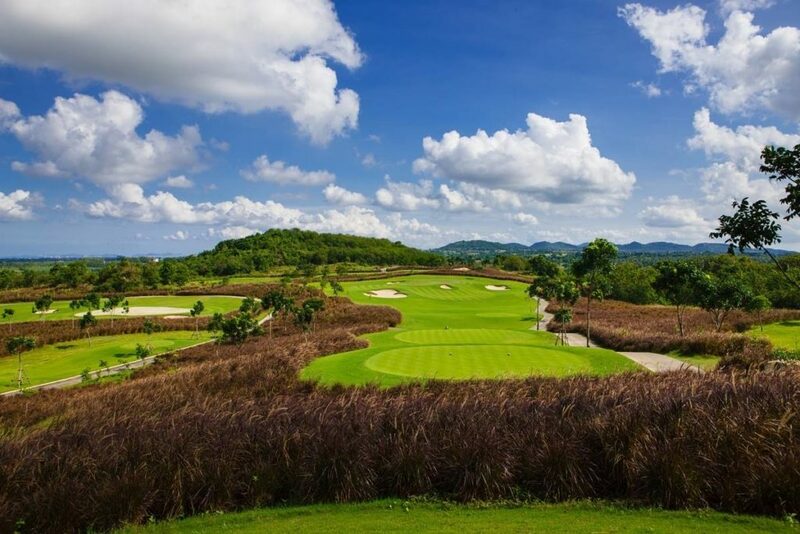 “I am excited for this new chapter of Solar Golf and am confident that with Golfasian’s far-reaching expertise in the Asian golf tourism scene, we will be able to lure many more golfers to Pattaya and provide an even smoother customer service experience,” said Stuart Mackie, General Manager of Solar Golf. Established in 1997 in Bangkok, Thailand, Golfasian is the most established dedicated golf tour operator in Asia. Golfasian’s quality of services and expert knowledge has made the company the first choice for golfers and golf tour operators throughout the world. Golfasian prides itself on their high amount of repeat customers and referrals and maintains a membership base of 162,014 golfers, who seek quality golf experiences in Thailand, Vietnam, Malaysia, Indonesia, Cambodia, Singapore, Laos, and Myanmar.